Celebrating the occasion of World Literacy Day on September 8, Footprints Childcare, an IIT-IIM alumni run national chain of progressive play schools and daycares, today announced to dedicate a fund of Rs.5 crores towards training and development of its teachers. In the next three years, Footprints aims to use this fund to enable teachers and equip them with all the required skills. Teacher learning and development has always been a priority area for Footprints and is an integral part of the company’s vision. As a part of this program, all teachers who have joined the Footprints family will be delivered an intensive and comprehensive HighScope training, in order to effectively implement the HighScope approach to the early years education of children. Research shows that this approach helps to improve children’s thinking skills as they start school and these skills last into adulthood. It’s a way of working with young children devised from a theory of child development. HighScope gives a framework, a routine that allows teachers to work with children whilst letting the children do the discovering. This training program would help Footprints Childcare realize its vision to create critical mass of teachers, with a shared outlook and who would support each other in enhancing the quality of early education in India. The HighScope Educational Research Foundation is an independent, nonprofit organization committed to supporting the crucial work of educators in providing high-quality early childhood education. Based on comprehensive research, HighScope’s active learning approach to birth-through-kindergarten education focuses on engaging curriculum content, child and program assessment, and intentional teaching methods that support the development of young children worldwide. The curriculum was started at Michigan, USA in the 1970s and is being used in over 50,000 preschools in more than 20 countries across the world. 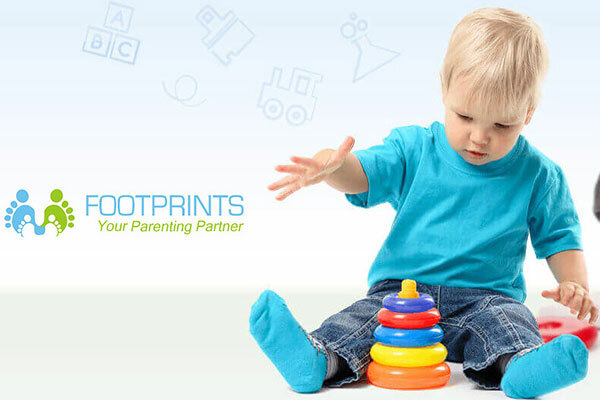 Footprints Childcare was founded in the year 2013 with an aim to provide world-class care and nurturing environment to kids for physical, mental, emotional and social growth and development. Today, Footprints has grown to 80+ centers serving 6000+ parents across 12 cities in India – Delhi, Mumbai, Hyderabad, Bengaluru, Pune, Lucknow, Gaziabad, Faridabad, Gurgaon, Greater Noida, Noida, Kanpur.